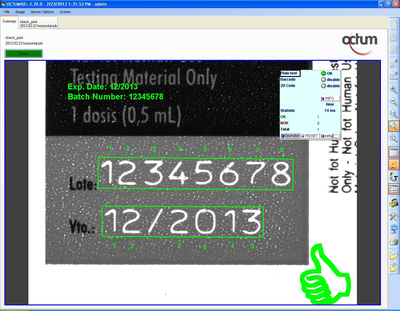 Reading of codes & characters - reliable identification ensures traceability of your parts! 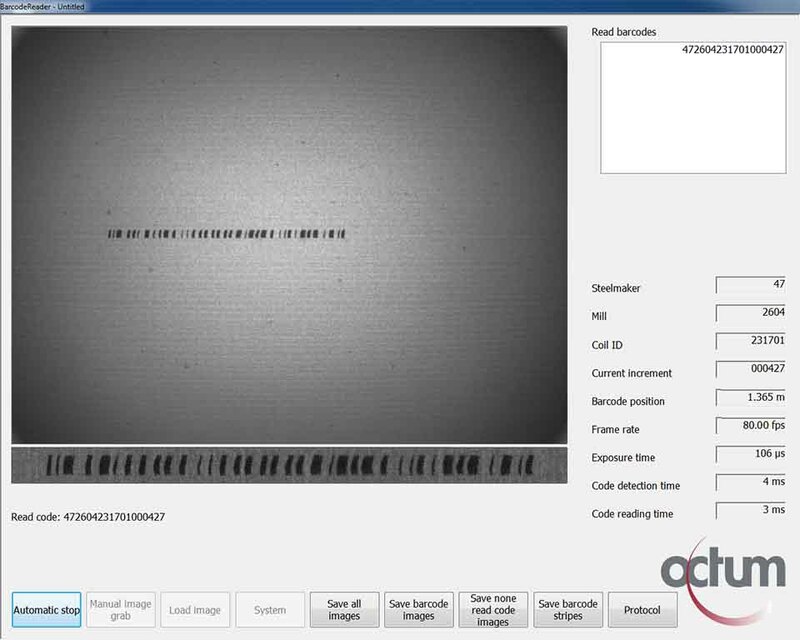 The Octum machine vision systems for reading and verifying different codes and characters (optical character recognition OCR and optical character verification OCV) enable the automatic material flow control and traceability of your products. Standard 1D and 2D codes are also recognized reliably and quickly as DPM codes, such as the Data Matrix Code, under difficult conditions. The reading and verification of characters (OCR & OCV) especially in non-standardized character sets such as punched characters, may demand manual teach-in of the character set. The recognition software operates in gray level images or 3D images and classifies the characters based on the taught-in character patterns in the production cycle. In the case of difficult contrasting conditions or very heavily fluctuating characters and codes, several characters of a class can also be taught in. The user can teach in characters himself using the simple user interface. Standard interfaces are available for coupling to the process. Mature image processing solutions are available for reading and verifying any 1D or 2D codes of any type; teaching in is not necessary here. 2D reading of codes and characters – reliable even at high speeds. For simple to complex tasks in 2D reading of codes and characters we normally use hand-held or stationary ID systems from our partner Cognex (DataMan and In-Sight system series). These also enable reliable reading of invisible (e.g. UV codes) and codes that are difficult to contrast (punched codes, etched codes) with specific optical setup. Combinations of multi-line codes, plain text and printed symbols, especially in the pharmaceutical industry, can be identified reliably by Octum system solutions. We have implemented reading of 1D codes on steel coils at speeds of up to 300 m/min for Track & Trace tasks in steel manufacture and processing with PC-based systems with a maximum recognition rate. Our PC-based OCR systems read barely visible plain text lasered on metal blanks at speeds of up to 180 m/min. Our OCR systems are able to deal with heavy fluctuations in size, position and arrangement of the characters, e.g. on compressor wheels. Our strengths are task-specific image processing systems for reading codes and characters even when conditions are difficult. Challenge us! 3D reading of codes and characters – reliable recognition even at low character depth. Our PC-based systems read 3D codes and characters for safety-relevant identifications with 3D cameras on the basis of laser triangulation. We use fixed mounted 3D cameras for high speeds. Robot-controlled 3D cameras can be an economical alternative for punched characters on high quality castings with several punching surfaces. 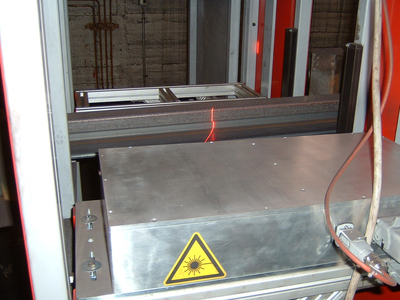 Our 3D OCR system, for example, also reads punched characters with a low punching depth on railroad rails at speeds of up to 1.5 m/s and rail lengths up to 120 m. We achieve scan rates of up to 15 kHz and very high read rates even on scaly surfaces.